Melissa and her husband, Eric, are both Clemson alums and die-hard Tiger fans! So from the moment she said "Yes! ", the location and theme of their special day was a no-brainer. Photos are by Allison Elizabeth Photography & Design - an Upstate South Carolina photographer. Eric and Melissa met at the Esso Club in January of 2009, and Clemson has been a huge part of their relationship ever since. 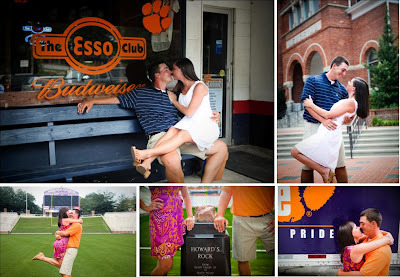 The couple chose to honor their "orange blood" during their engagement session with pictures in Death Valley, outside Tillman Hall, and in the parking lot of the Esso where they first met. The couple got married on May 28, 2011 at Clemson United Methodist Church. 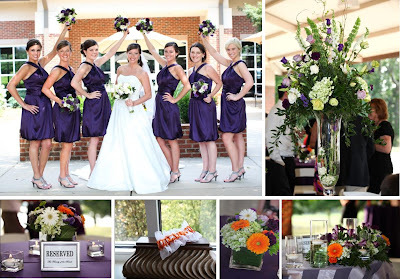 Melissa chose dark purple for her bridesmaids' dresses and various shades of purple with hints of orange for the flowers. The reception took place at the Owen Pavilion, behind the James F. Martin Inn. Clemson touches throughout the reception included the bridal portrait which was taken at Clemson's very own Fort Hill, a special appearance by the Clemson Tiger, Clemson tiger paws engraved on the couple's toasting glasses, and orange koozies as wedding favors. 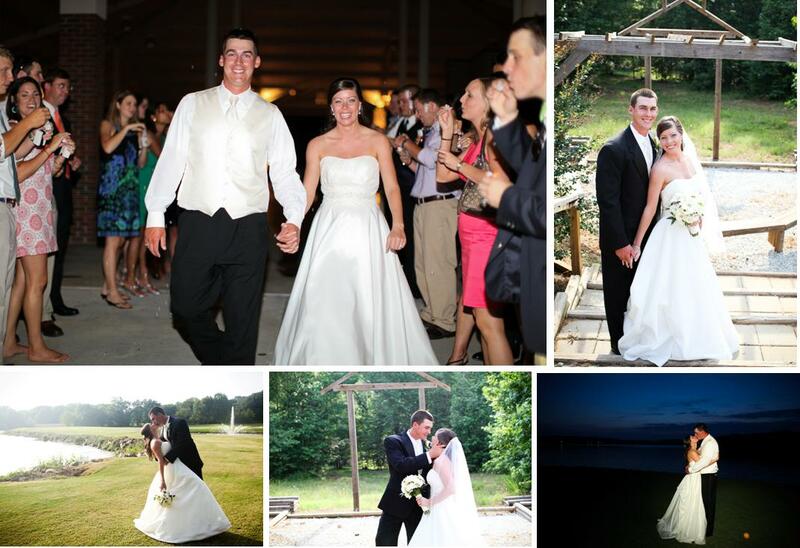 It was a true Clemson ending to a true Clemson love story! 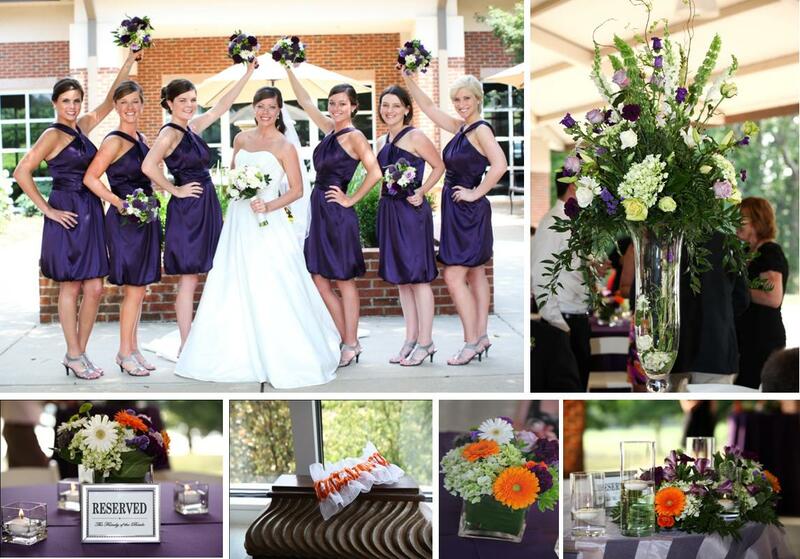 We'd like to give a big thanks to Melissa for contacting us and sharing her amazing Clemson wedding with us - she pretty much wrote this post! 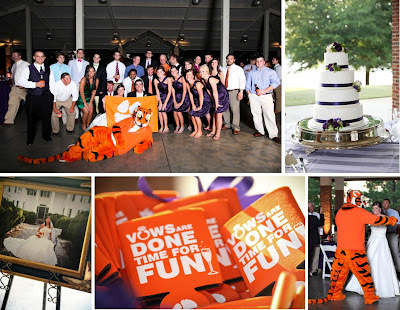 And sadly today is the last Wedding Wednesday post for 2011 - we hope you enjoyed all of the posts and have gotten lots of fun Clemson-themed ideas for your special day.